Suckage claimed a major victory this weekend when the Reaper took the great Paul Newman at the age of 83. 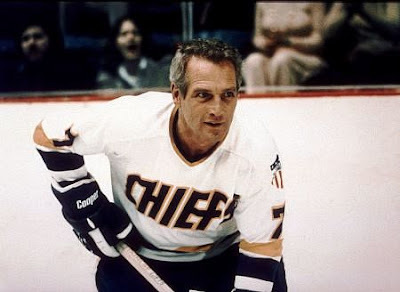 Newman starred in a litany of classic films, among them Cool Hand Luke, The Sting, Hud, Butch Cassidy and the Sundance Kid, The Hustler, The Verdict, The Color Of Money and the great Slap Shot. I know I’m forgetting some, but that’s not a bad list of films for a guy when you’re naming them off the top of your head. In addition to his great movie career, Paul Newman was also was responsible for huge amounts of money donated to charity through his Newman’s Own brand salad dressing, cookies, popcorn and other stuff. Finally, he also managed to stay married for over 50 years to the same women, no small feat when you consider he was one of the best looking dudes to ever walk the face of the earth and probably had more women throwing themselves at him than even me. Simply put, with his passing, the world is less classy today. And to make up for it, we’re all gonna have to step it up class-wise. Good luck with that, planet Earth. Was I the only one that wasn't a fan of his?